In just one weekend get rolling with ease with our Outdoor Skate Basics Learn-to-skate course. 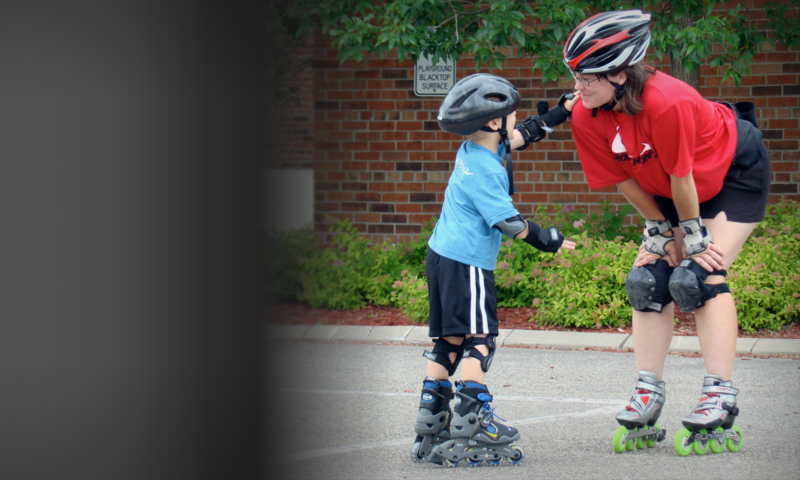 Our Outdoor Skate Basics course is the world’s first comprehensive outdoor inline skate lesson program. The course is carefully designed to prepare beginners and beyond for safe, effective recreational outdoor inline skating! “Thanks for a great weekend! You are a gifted teacher and I learned so much.” Devine T.
In a safe and fun learning environment, students learn essential inline skate skills needed for everyday trail and road skating. We begin by introducing the sport of inline skating, familiarize students with protective inline skate equipment, then teach the basics of inline skating and also skateboard, here you can find ramps special for both, and in What is 180 you can look for more information and types of products and spaces. During the fun-filled weekend, we offer four levels of movement, slowing and stopping, turning and terrain skating skills. We reinforce new skills with engaging innovative fun activities. If all participants are equipped with adequate skating skills, we will add a 3 mile trail skate around Lake of the Isles in Minneapolis. The trail skate will take place at 1:30 PM on Sunday. ​Adult Skate Camp runs from 9 AM to 12 PM, Saturday and Sunday. Dates: June 14 and 15, 2019.